Had my eye on this for a while. 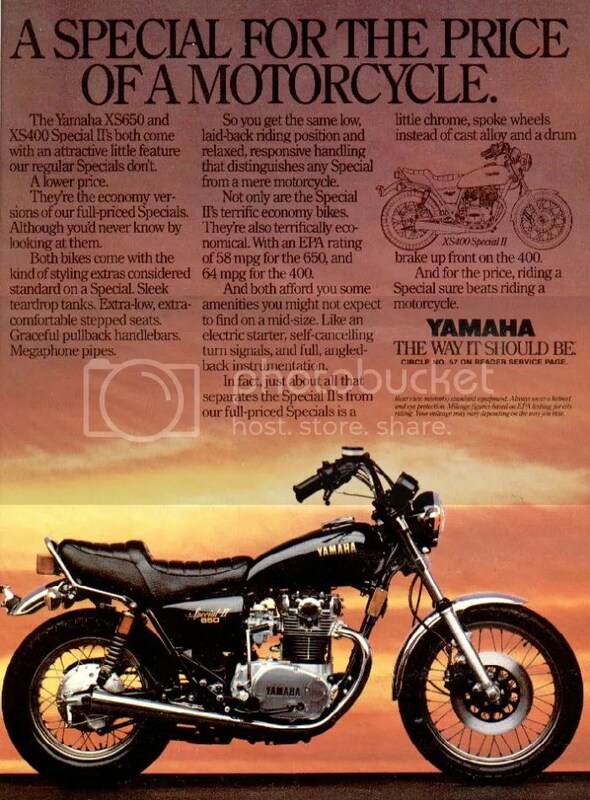 Chappell Bros.
1982 US Custom/XS650SE ad from a British magazine … ? 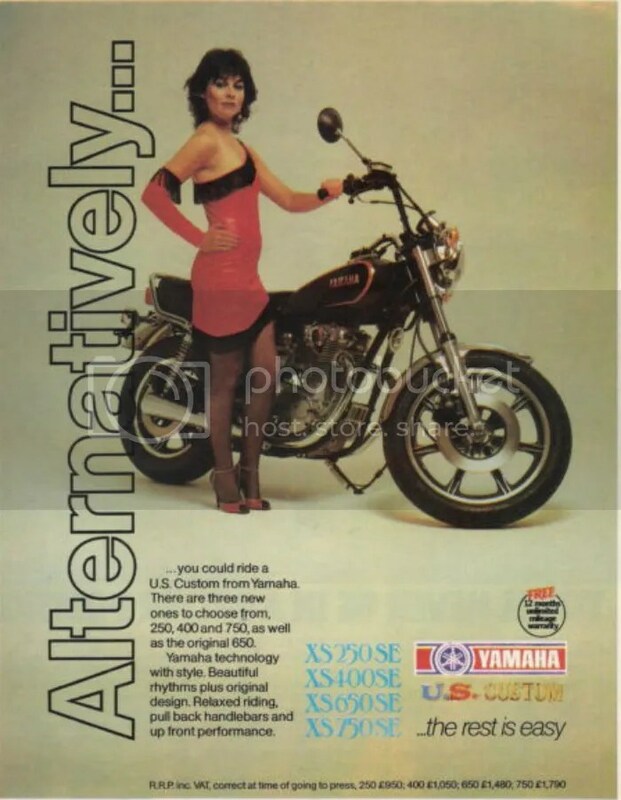 ?wonder what she looks like now?? After parking the sidecar in town the other day I came back to find the sidecar front blinker and riding lights both broken. Decided to replace all sidecar lights with LEDs. As the wiring is rather exposed I thought I would try the waterproof AMP Superseal connectors. These come as 1 to 6 pole. Didn’t come with montage instructions. I found these pretty fiddly to put together. So went looking for instructions. amp superseal 1 and amp superseal. Made the job a lot easier. However for the cost and effort I am not sure whether I would do it again. Simply from an installation and cost perspective I am disappointed. Time will tell how effective they are. If I hadn’t already the proper crimping pliers I wouldn’t have bothered – they are absolutely necessary. I used 1×3 pole, 2x2pole and 2×4 pole connectors. Together they almost cost more than the lights. Happy New Year folks!! We hope 2013 will treat your physical and spiritual health as they should be. For us, 2012’s highlight was our son starting school. A wonderful experience. For all but the school. We were summoned. Our first teacher/parent talk-Day 3. I at least, was proud. Being bilingual the school has done wonders for his active english skills. Observing and aiding his discovery of the written world is proving fascinating. Earlier in the year my dear wife informed me we would be celebrating Xmas/New Year in New Zealand. My homeland-but not my home. Aside from spending the silly season with my family, she had a wishlist. Whalewatching, Visit a geothermal area, Waitomo glowworm caves. None of these really interest me in the commercial sense. Through all my years of boatng and sailing I’ve had countless possibility to observe and swim with whales and dolphins. As a geologist I appreciate NZL’s unique location although the touristy areas are a poor match to the many hidden geothermal gems. And I have to say that despite the impressive presentation the reknown glowworm caves simply cant rival the caving experiences I enjoyed with the University Caving Club. Still, keep the little woman happy and the world is good. Kaikoura, the whalewatching coast set against, even in December, snow-capped mountains is truely beautiful. Unfortunately the early morning trip (booked as the ocean is calmer) was cancelled due to fog and the boys’ health deteriorated to fever. Instead we sat on the wharf and caught fish. Then headed back to Nelson area via Lewis Pass where we were awaited at the Tui Farm Folk Festival. Run by great friends of mine this is a participatory event. Workshops, impromptu musical events and general jamming are definitely the order of the day. We shared a cooking tent with the headline band, The Shot Band, from Wellington. I missed their main gigs by taking our (very) sick boy to bed but had the fortune to enjoy a full days jamming and general musical piss-taking. Boyz havin’ fun. All good things end and we headed back north to Taupo, thought to be the site of the worlds biggest volcanic eruptions, sitting atop major plate boundaries and at the end of the Tonga-Kermadec Trench. We climbed Ruapehu and took a look at Tongariro (Mordor in the lord of the rings movies). The triad, Tongariro Ngauruhoe and Ruapehu are all considered active. Heading further north we visited Huka Falls where the Waikato River leaves Taupo and Orakei Korako, one of the hidden geothermal gems, on Lake Ohakuri. Further north we dropped into Waitomo glowworm caves. I had caught the boys’ bug by this time and was getting pretty crook. Crashed out in the car-the missus had to drive. We headed back to Auckland. I stayed in bed a week and didnt eat while mum and the lad did more family things. Fortunately I got better enough to enjoy some sailing and fishing with my brother on his Stewart built 36′ Matangi design yacht. After a long and shattering flight we are now back home. And happy for it too. Looking foward to putting a few miles on the XS and clearing the head.